Palate: Round, complex, 'smoky', with every evolving tastes and a fine, deliciously satisfying length of finish. Embodying the emotion of times gone by, the Hardy Noces d'Argent Fine Champagne Cognac is something that's a little bit special. 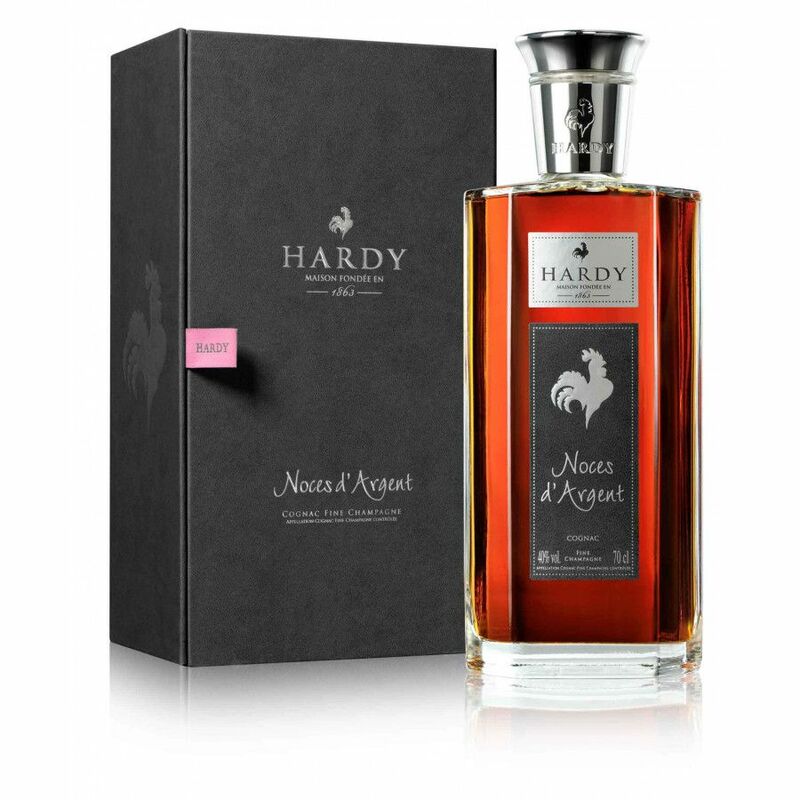 it's a blend of Fine Champagne Cognacs aged thirty, forty, fifty, sixty years - and older, it's part of the 'wedding anniversary' series from the house of Hardy. The presentation is exquisite - a lovely decanter style bottle in a classy presentation case, it certainly would be a wonderful gift for any Silver wedding anniversary. And of course, the taste experience matches its looks, with a deep leathery nose, followed by a spicy, complex taste and, as one would expect of a Cognac of this quality, a truly satisfying finish. 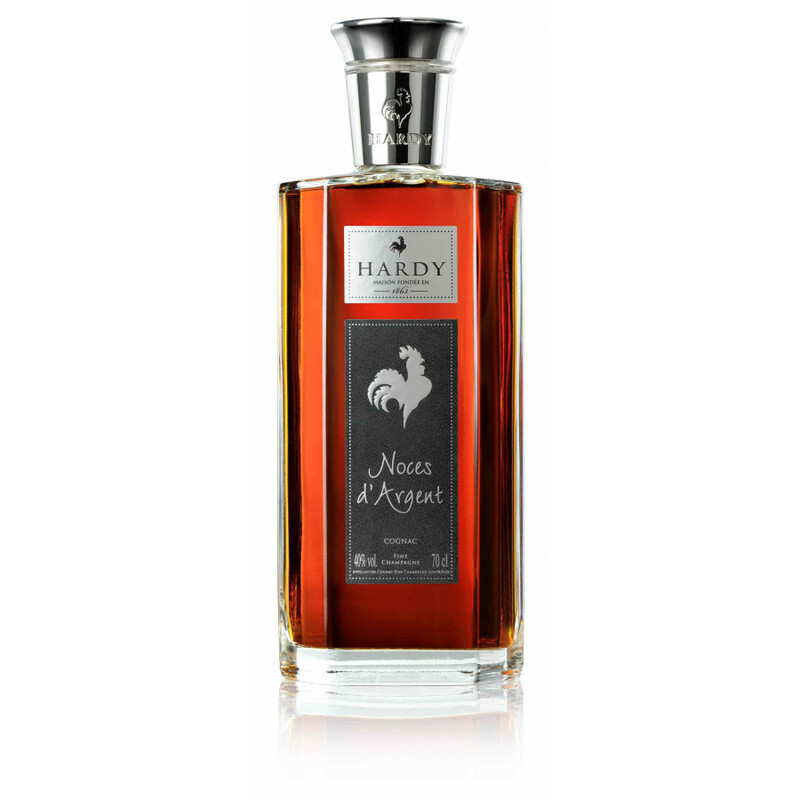 Hardy's is probably my favourite cognac house but little know in the UK. When we visited this year, we were offered Legend and Noces d'Argent "Silver Anniversary" which are both excellent but the real bonus was that it was actually our Silver Anniversary and this is the only cognac my wife has ever drunk and enjoyed!!! No review of Prince Poliignac XO Royal so far.